On Saturday, you will have a good day for action related to your home, garden or farm, and financial affairs. Now you can make important decisions or plan serious commitments for the next week. Today you may be sad or disappointed with news or events related to someone in your circle of friends. There are likely attempts to manipulate or scare you with something, so be careful and do not rush to react to the bad news. Do not rely on luck in gambling today. The day will be good for travel and for contacts with people from different parts of the world. If you were born under the sign of Aries, Leo or Sagittarius, today you will experience a dispute somehow connected with travel. Many of you will have contacts with people from afar that will cause disappointment. Today portends changes of some kind that will be difficult to accept but will be for your own good. If you were born under the sign of Taurus, Virgo or Capricorn, today you will worry about the news someone will share with you. This is a day of important communication with people who live in another home. Nowadays, you may have health problems or experience more stress in your everyday life. If you were born under the sign of Gemini, Libra or Aquarius, on Saturday you will be annoyed by the interference in your plans by your relatives. In financial terms, the day may bring you disappointment or you will have unrealistic expectations about money. If you travel, you will probably go to strange places or meet interesting new people. 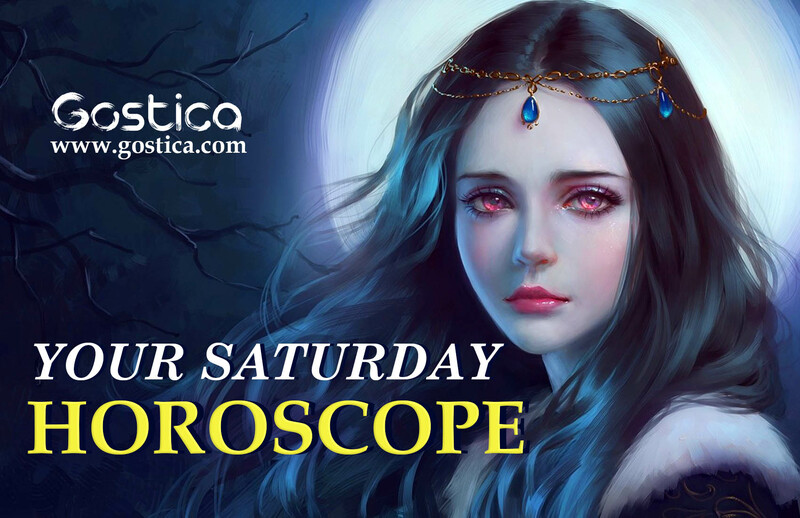 If you are born under the sign of Cancer, Scorpio or Pisces, on Saturday you will have the desire to spend more time with young people who will fill you with a positive mood and optimism. A conversation with a man will be of great help to you. The day will be good for meetings and gatherings with nice people. Your love experiences today will be emotional. Your assumptions were correct. However, you should not make the people around you weigh it down. They may be annoyed by the excessive presumptions. Reminding others of their mistakes can be a double-edged move. It doesn’t always turn out to be the correct one, especially as you discover too much of other people’s weaknesses. We all have them and we should be more understanding. On this day, there are several activities you could do in a totally relaxed way without having to run left and right to see your task completed. It doesn’t happen very often because you’re always quite agitated. You will also have some free time to spend as you see fit, greatly increasing your serenity. Everyone will be much more relaxed towards you. You have done a lot to make sure that everything goes smoothly in the last few days, but something has obviously slipped through your fingers. You can recover soon. You are quite projected on your work, so it will not be as difficult as you think. It will be a matter of taking some of your time and spending it on something really useful. You can dedicate the rest of the day to yourself or to whoever you like. You have clear difficulties in concentrating on certain issues. Perhaps there are others that distract you and do not allow you to give your best. It would be a good idea to resolve the latter first. If you free yourself from this burden, you will surely be able to give a worthy solution to the former, too. It would be much simpler than you think if you just let yourself be convinced. You haven’t solved most of the issues that you had yesterday. You probably just let time run out, hoping that other people would take care of it. Since that was not the case, you will have to make a double effort today and you will not be able to complain. There are things that are beyond your control. The only thing you can do is be diligent as much as possible. There are various references that you should consider to resolve the matter quickly. Try to give more linearity to your activities, so as not to lose the thread despite some distractions. You will find great complicity with a colleague or person who can help you, so do not keep it all inside.